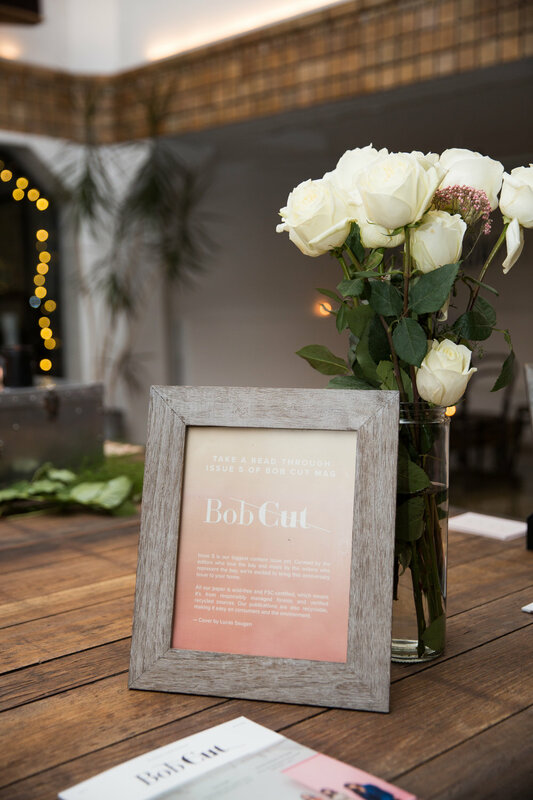 Surrounded by good people, enlightening libations, and works of literary excellence: the Bob Cut team got to celebrate with their friends and community alike for a night of pure cheer. 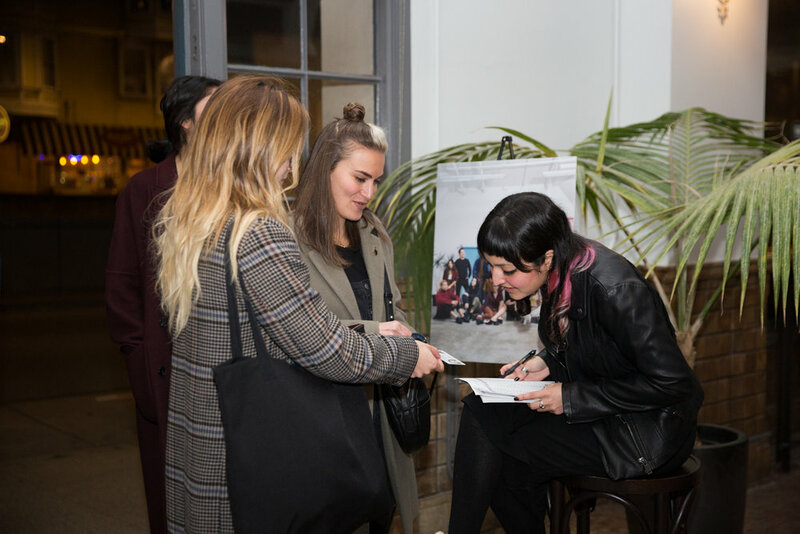 Housed in a cathedral-like setting, we echoed and howled the crowning achievements of our anniversary issue. Celebrating a cover that supports independent and local industry movers and shakers, we are immensely proud. Thanks to our friends over at Tofino Wines, we got to engage everyone in a gorgeous setting over some deliciously curated rose. Lit by candles and lined with white roses, our 90 attendees got to enjoy mingling while getting their Instagram's satiated. Whilst this was all happening, local illustrator Hunter Hess demo'd some of his current inspirations in mural form. Of course, attendees had to get snaps with and around it. So if you were able to make it, we appreciate it—however if you could not, we suggest getting on our list ASAP so you'll never miss an outing from us. But without further ado, check out the photos below and relive the magic. // Photography by Grace Sager. Did you miss this party? Never miss anything with our Saturday newsletter.